This entry was posted in Book Hauls and tagged Book Haul, Stacking the Shelves, The Sunday Post. Bookmark the permalink. 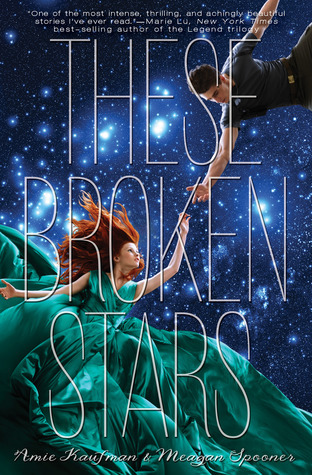 I really want to read These Broken Stars – I’m looking forward to your review! I adored These Broken Stars. I hope you like it too. I can’t really get into listening audiobooks. I’ve tried, but my concentration just wanders! I got These Broken Stars a little while ago but still haven’t read it. So many books, so little time! Loved These Broken Stars! I think I’ve heard the audiobook for that one is really good. I totally feel you on Daylights Savings Time. It’s a really difficult adjustment. Though, I will be glad to have more evening daylight hours. Winter is still here in PA….but I can see some green grass for once…the snow is finally melting. 🙂 I LOVED These Broken Stars…such an awesome book. I bet the audio book is just as captivating. Enjoy all of your books and your weekend! I am really not excited for Daylight Savings either! I just requested These Broken Stars at the library, so hopefully I will get it soon! I like DST just because it is still daylight when I drive home from work. I haven’t read any of these but happy reading! These Broken Stars looks like it’s going to be a great book! I hope you enjoy it! I’m with you, I am SOOOOO not looking forward to the the time change tonight. I love it in the fall when I wake up feeling refreshed in the mornings. But the spring just means groggy mornings, even if I do get more daylight in the early evenings for reading on the deck. I hope you in These Broken Stars — it’s fantastic! I do not look forward to getting up earlier. I just can’t stand it. 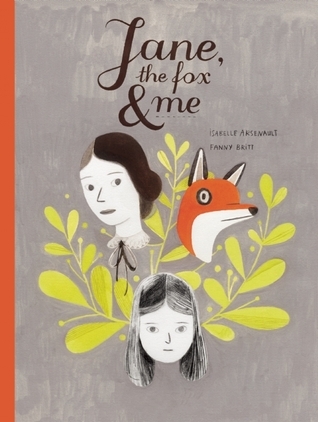 I look forward to your review on Jane, the Fox and Me. Looks neat! I like the smaller book hauls (not just saying that because I didn’t get any books this week), but it’s easier for me to comment when there aren’t 15 different books listed. That’s just a personal thing though. I really enjoyed These Broken Stars and I hope you do too. I’m interested to see how the audio version is. Also, I love the time change both in spring and in fall for different reasons. I love longer days because I feel like I get so much done. And fall and winter just wouldn’t be the same without longer nights. Sorry you’re not a fan though. Hope you have a great two days off. You might have just revolutionized my life. Audiobooks while avoiding work by playing games? Genius! I’m not sure why I’ve never thought of that. Looks like you had a great week! New follower. I wish they wouldn’t keep messing with WHEN the time changes! March? Seriously? Anyway, I was up in the middle of the night changing my clock collection…LOL. I have so many, and they look cool over the mantle…but perhaps I need to rethink them! I hope you enjoy the books you got your hands on! I have gotten to where I really enjoy the audiobooks. I can listen while I do lots of other things. 🙂 enjoy your week. I’m enjoying audiobooks this year, too. I listen while I’m doing things which aren’t noisy and don’t take a lot of thought–like cooking dinner! I don’t mind DST because I like the extra light in the evening, but I wish they would just leave it at DST and not change back in the fall. These Broken Stars sounds good. Enjoy your books! I keep seeing These Broken Stars… Hmmmm. I hope you enjoy it! Nice haul. I loved These Broken Stars, can’t wait for the next book. I hope you enjoy all of your books 🙂 My STS. Ah, I’m with you Daylight Savings Time…My whole sleeping schedule is messed up right now, thanks to the time change. In the UK the daylight saving actually starts end of March, it is messing me up as well and we are going to lose 1 hr, don’t fancy getting up at 4am (instead of usually 5am) – that’s what it will feel like, aaarghhh. I’ve never heard of that graphic novel (likely because I don’t really gravitate towards them when picking what to read), but I’m super curious about it. I love the summary from Goodreads, so I’ll stay tuned to see what you end up thinking about it!